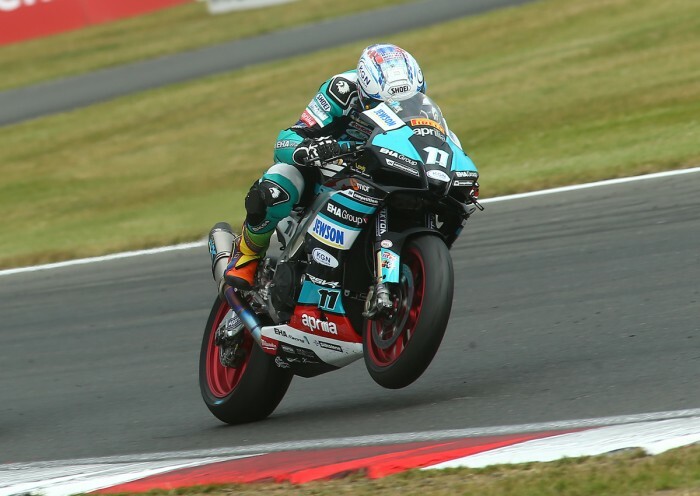 EHA Racing Aprilia-mounted Joe Collier took his maiden win for the Irish team – his first in the Pirelli National 1000 Superstock class, last time out at Snetterton – moving the rookie into second place in the 2018 series standings. 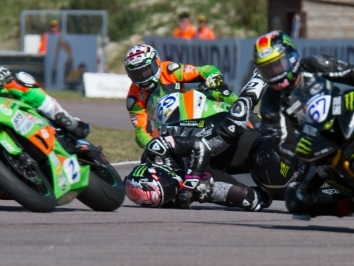 Very much the quiet thinking man’s racer, the 24-year-old full time electrician and part time racer, very much signalled his championship credentials with that Norfolk victory on the Jewson and KGN backed RSV4 RF Aprilia, which incidentally, he is having a lot of fun riding. 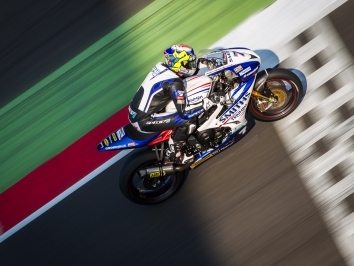 Last season the mild-mannered Leicestershire based rider had a couple of Stock 1000 outings on the IMR BMW at Oulton and Brands Hatch towards the end of the season, and his stand-in crew chief Phil McLaughlin [a regular in the Tyco BMW squad and currently working with Keith Farmer] said straight away, ‘that kid will win races in the Superstock class’. The former Irish motocross and World Enduro competitor wasn’t far wrong, and under the watchful eye of Ian Newton, the former racer, who is Aprilia UK’s racing guru, as well as the ‘maestro di corse’ on the Superstock side of the EHA Racing garage. Young Collier is in very good hands. 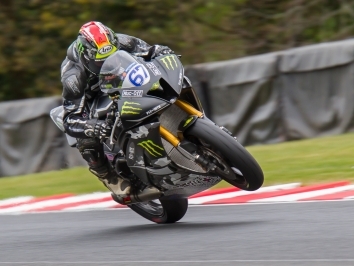 Having ridden the BMW at the back end of last season, Joe also tested the Aprilia RSV4 RF at Oulton park with Ian Newton on the spanners, and despite less than perfect conditions, his mind was immediately made up for 2018.